This Master of Engineering (MEng) degree lets you specialise your degree with a range of options and provides you with the educational requirements needed to become a Chartered Engineer. The placement year gives you the chance to get real work experience for a year in industry, whilst still being supported by the department at Sussex. Our world-class research in robotics, sensors, flexible electronics, medical imaging, dynamics and control and space systems informs our degrees to give you the best start in your career. You'll develop specific expertise in robotics alongside skills in electrical and electronic engineering; making you employable by various sectors from robot design and development to autonomous cars, robotics, automation, mechatronics, smart systems and renewable energies. 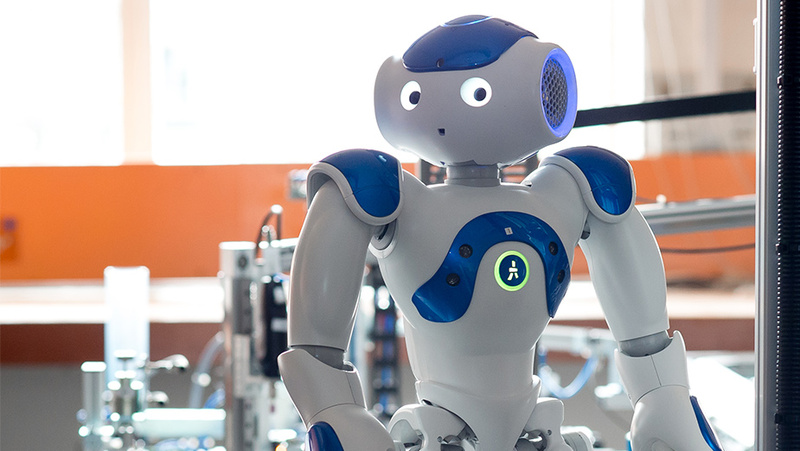 You’ll study in our £12-million Future Technologies Labs, which provides a new space for building robots, programming embedded systems and digital signal processors, as well as state-of-the-art computer design and modelling suites. In particular, you will have access to our flexible manufacturing system, industrial robotic manipulator, humanoid robots, fleet of drones, autonomous vehicles, and a real-time motion monitoring system. Dedicated academic advisors will support you during you time at Sussex, and you will be welcomed into our active, student- run engineering societies. We also offer this course as a four-year MEng without the industrial placement year, as a three-year BEng, or as a four-year BEng with an industrial placement year. Find out about the benefits of an integrated Masters year. You study advanced Masters-level modules and choose from a number of options, allowing you to specialise in your own areas of interest. You join an interdisciplinary team of fellow students to undertake a substantial robotics group project. This robotics project may be part of an international challenge or competition. Recent projects include modification of a quadcopter into an aerial vehicle for video reconnaissance.